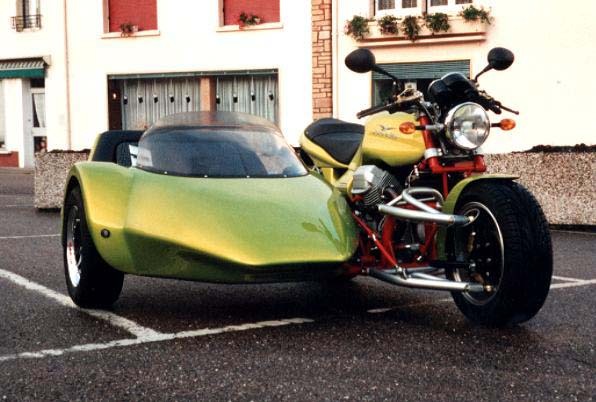 It's quite normal to begin this page with side-cars powered by a triple. 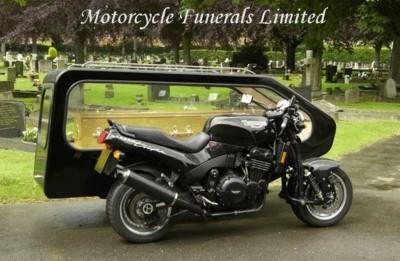 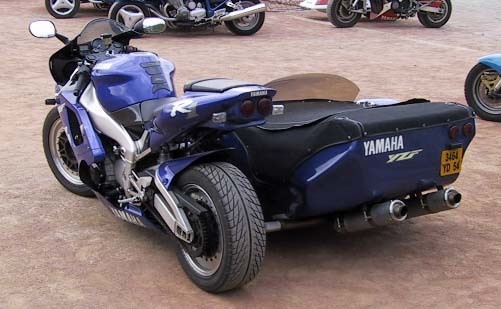 Isn't the ideal of a motorcyclist to try mixing the useful with pleasure ? 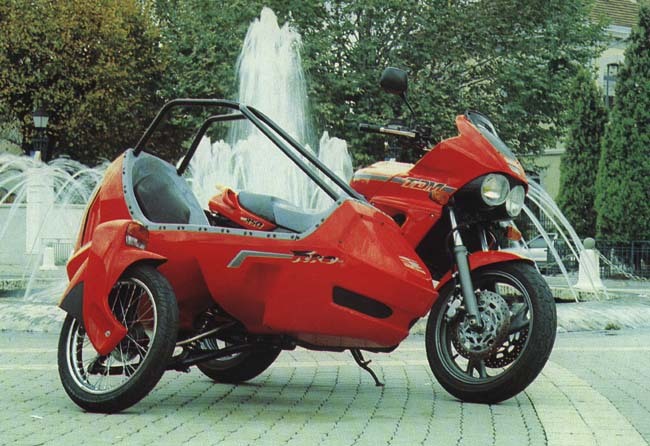 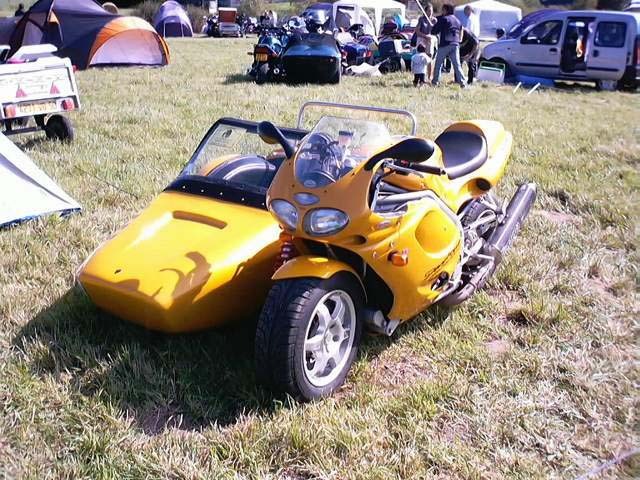 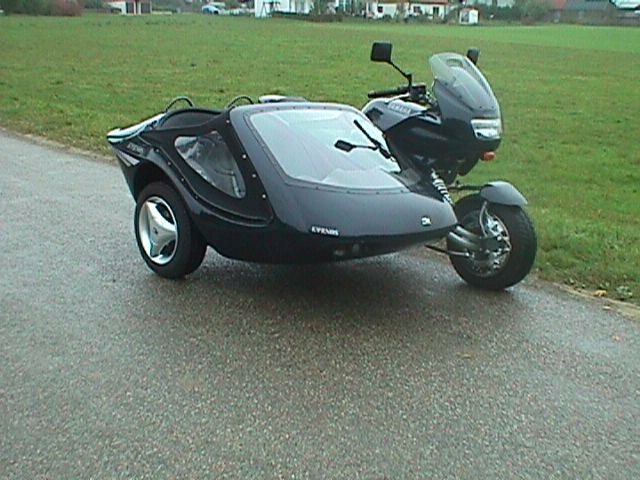 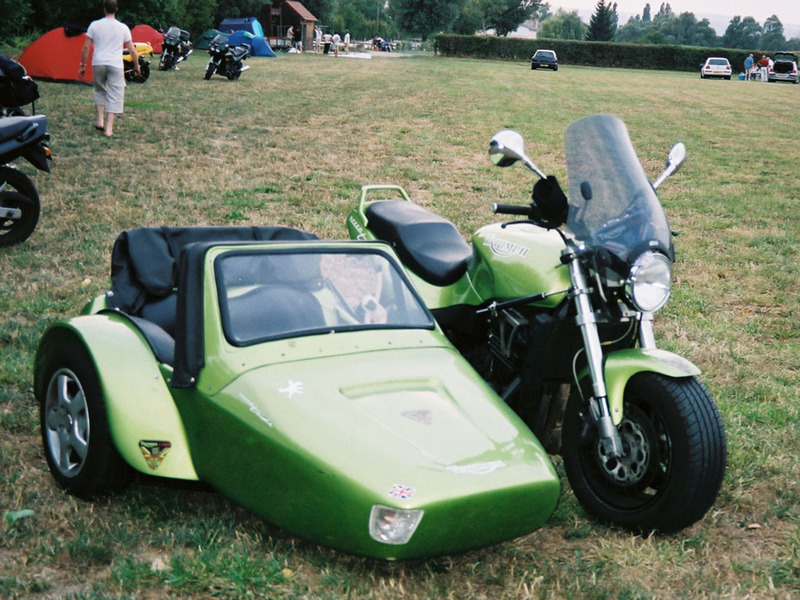 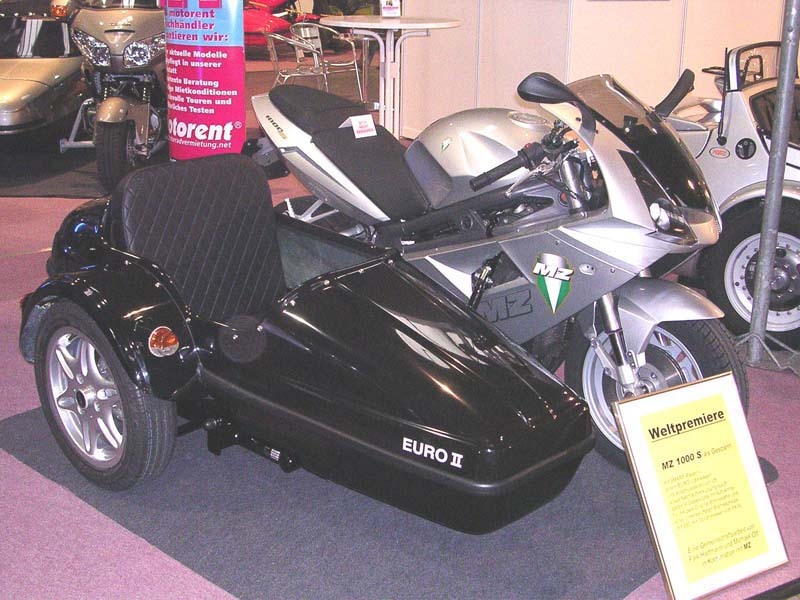 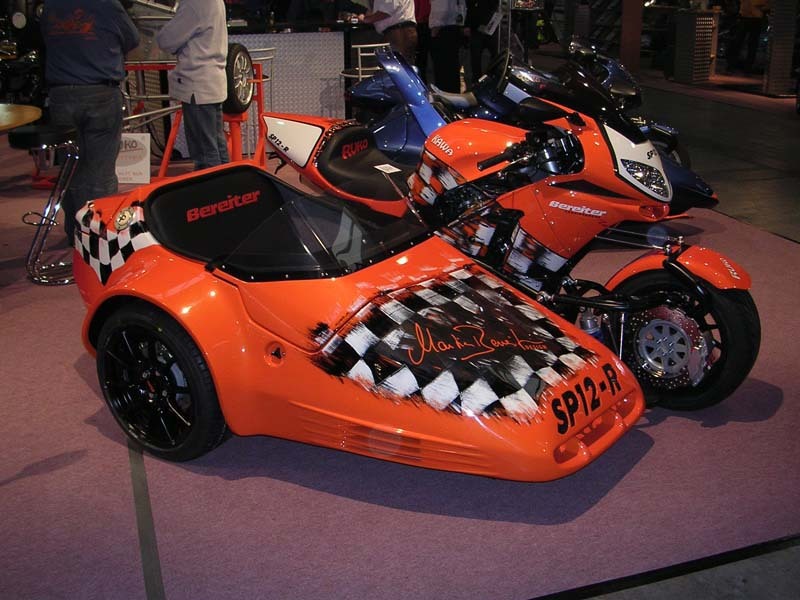 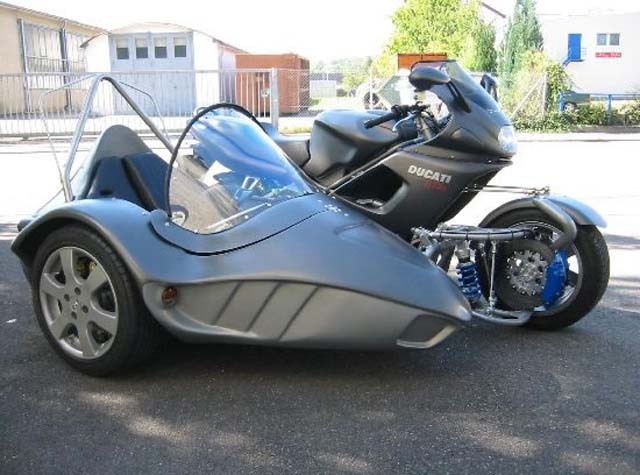 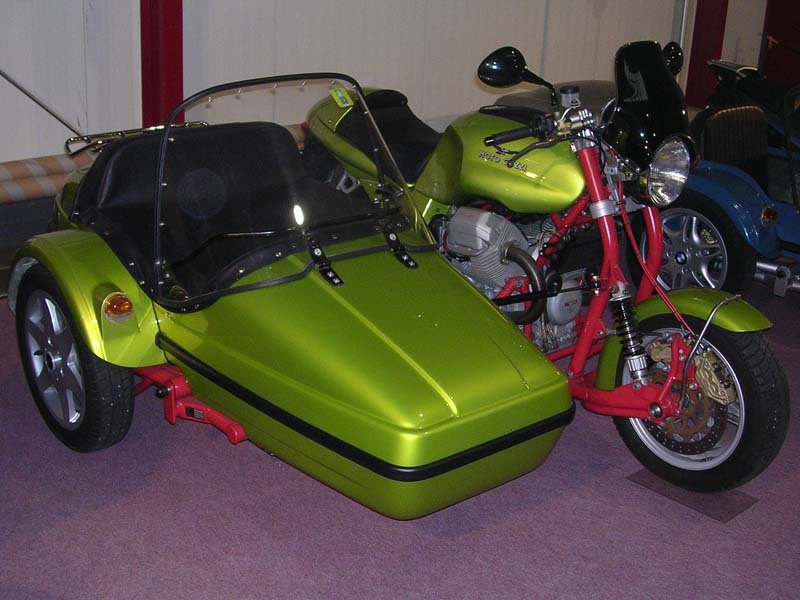 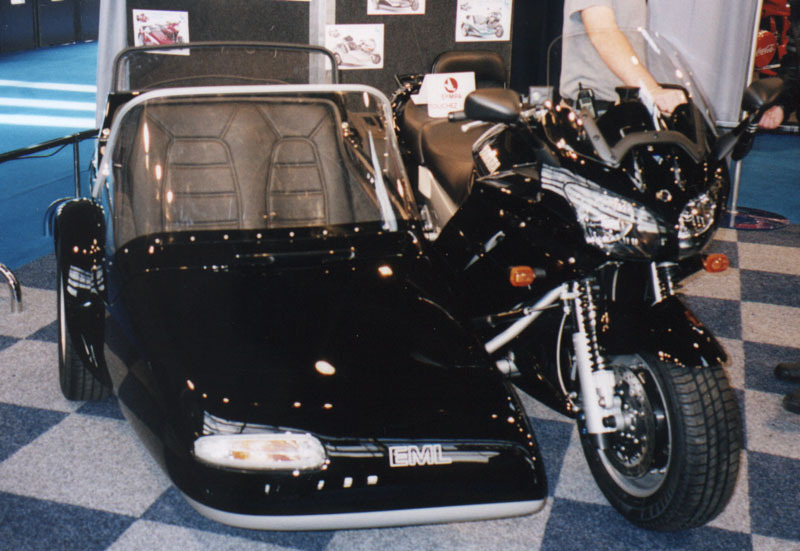 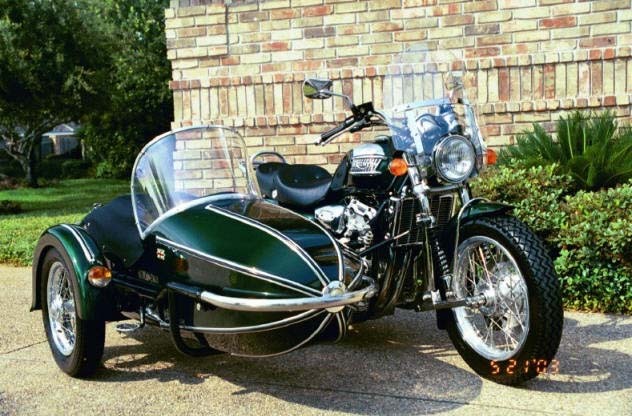 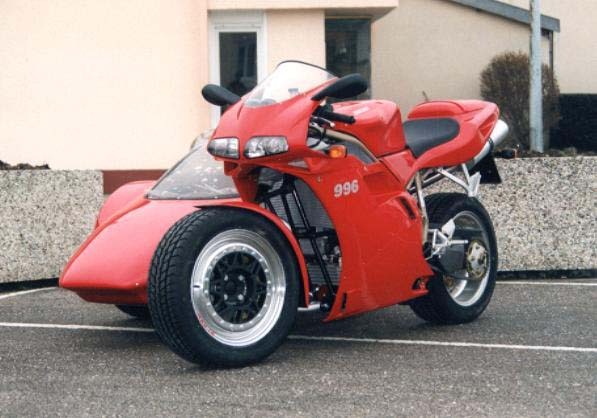 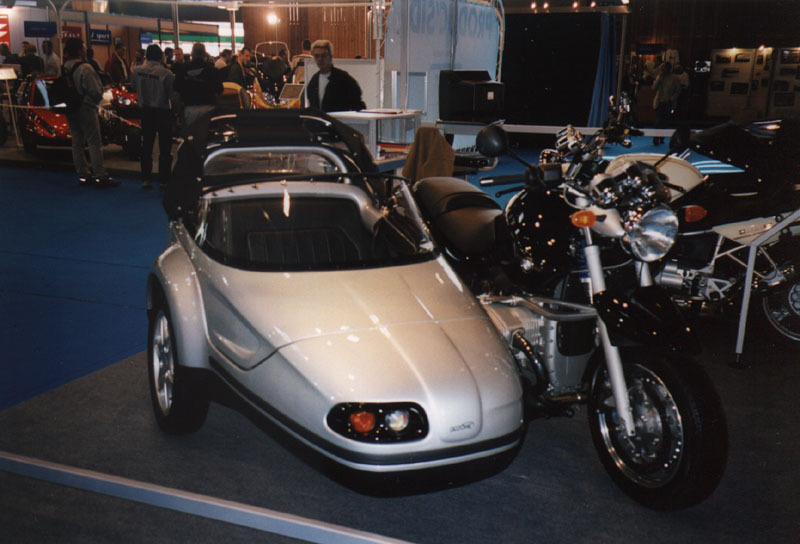 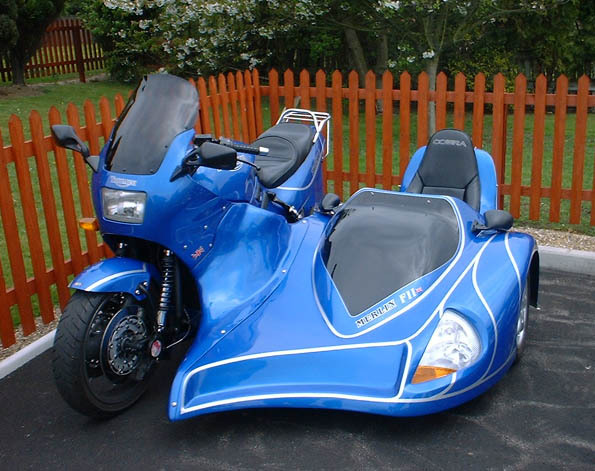 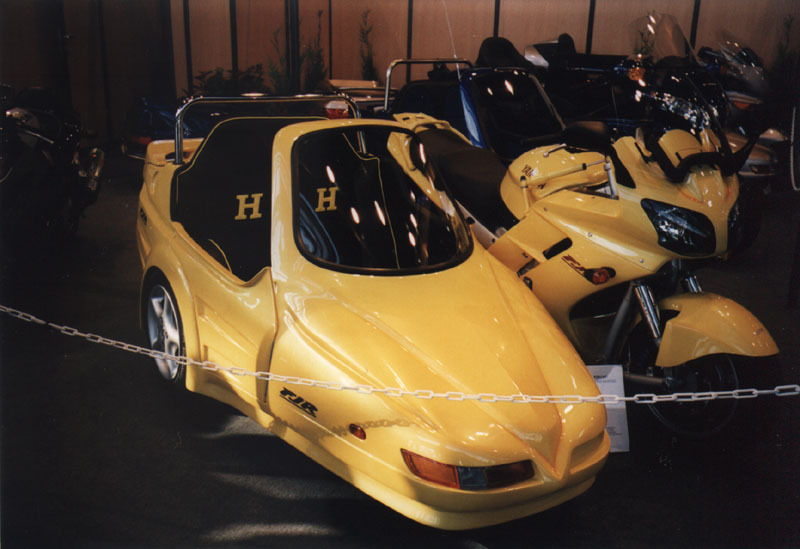 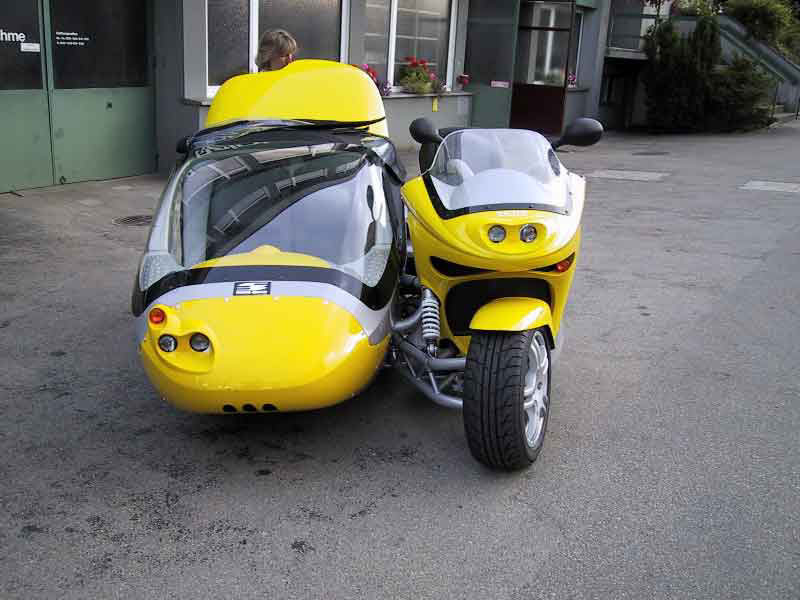 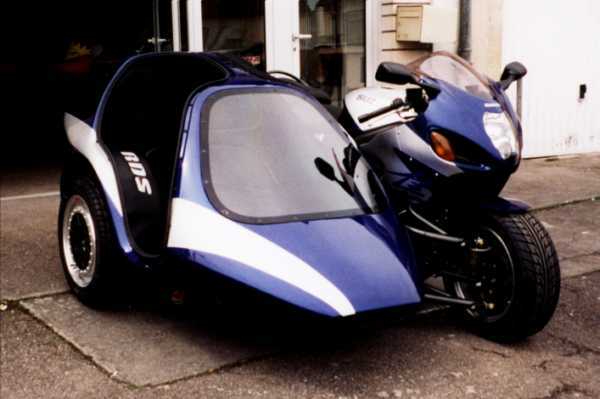 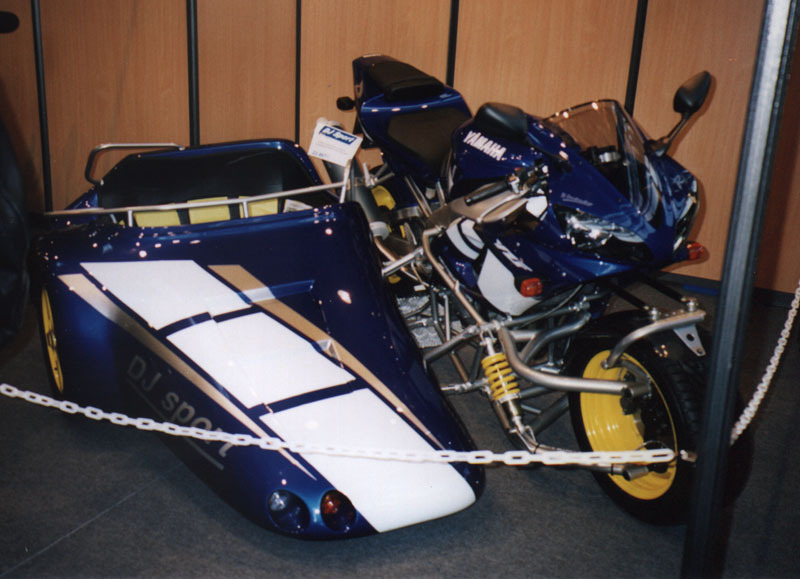 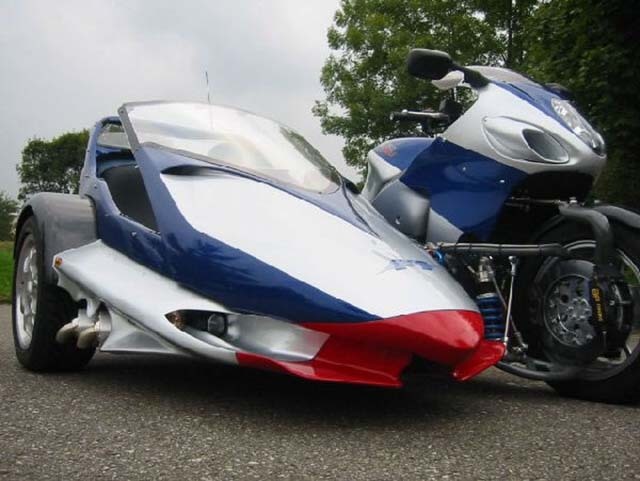 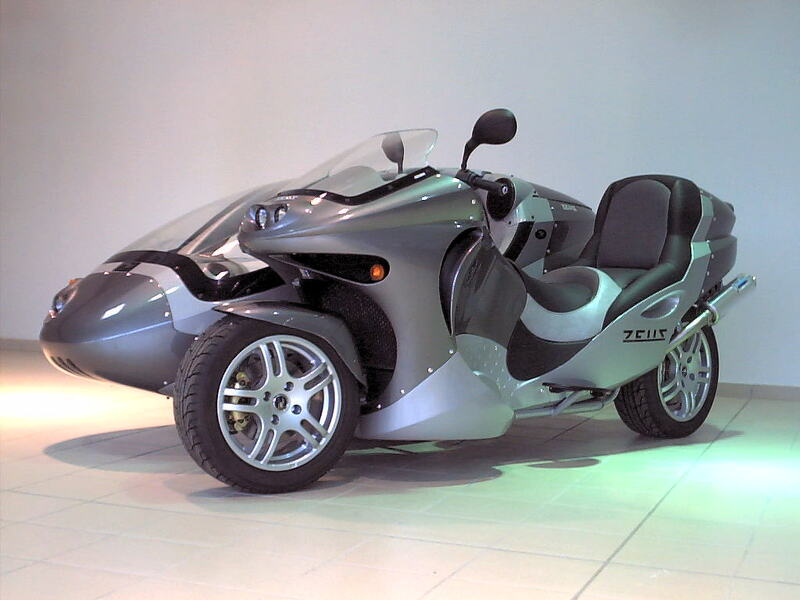 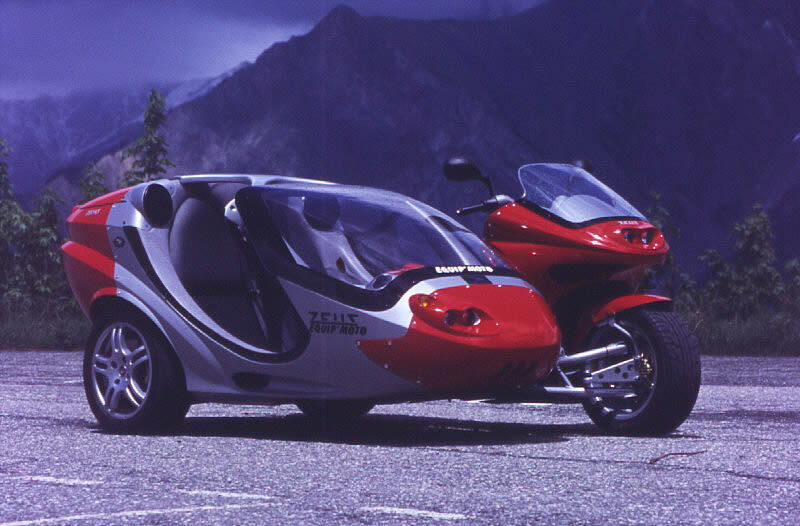 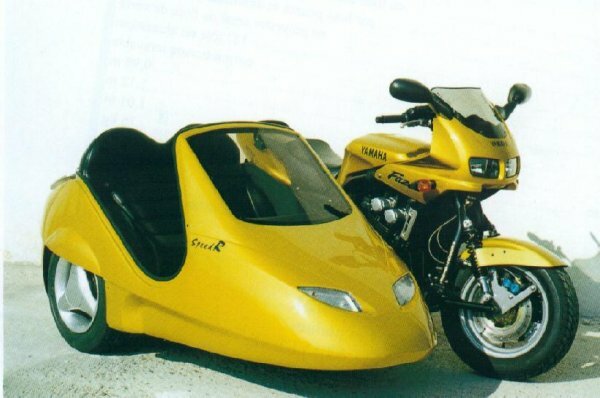 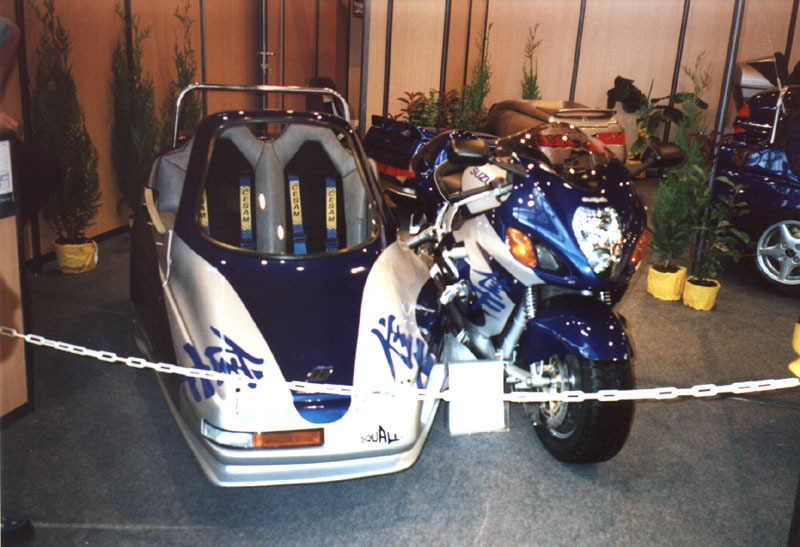 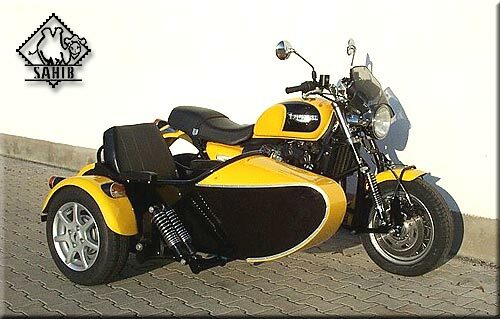 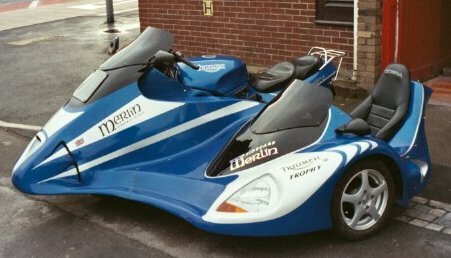 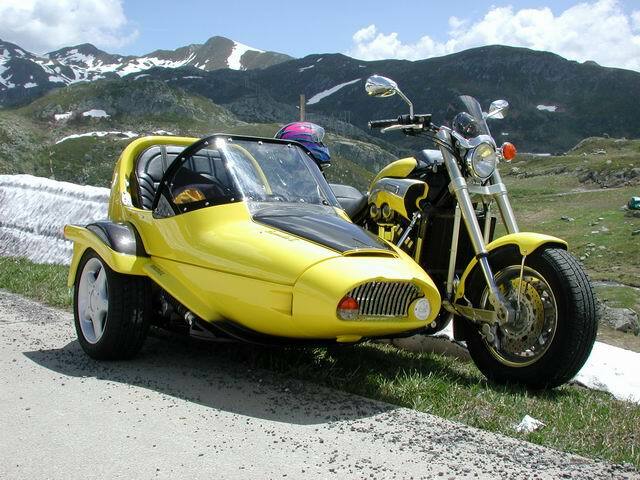 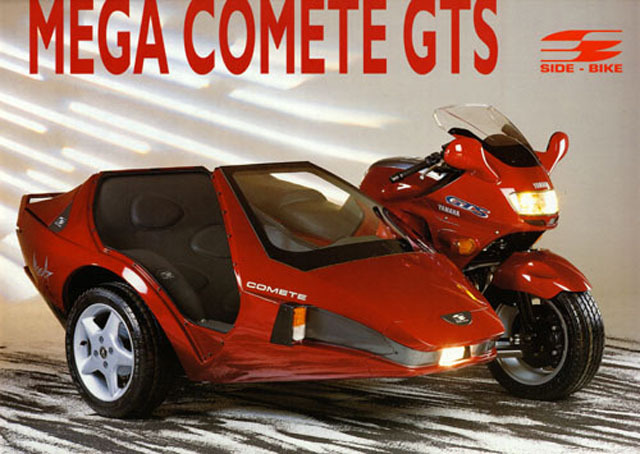 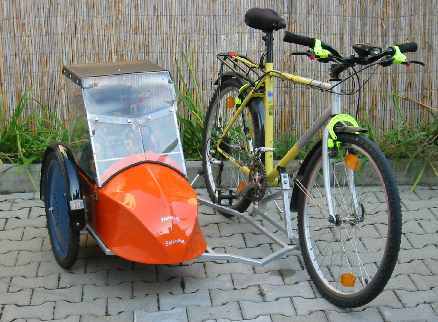 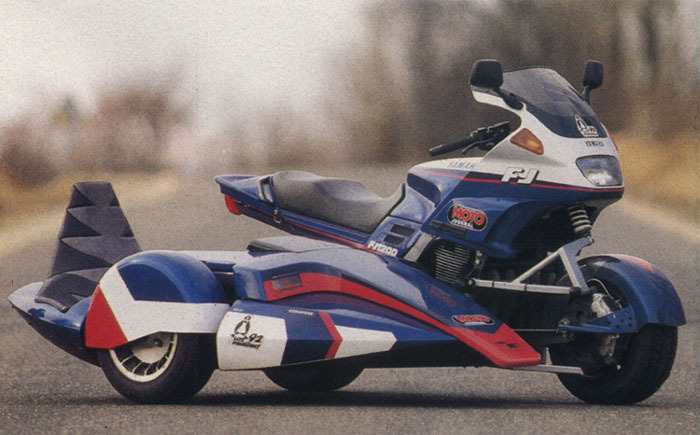 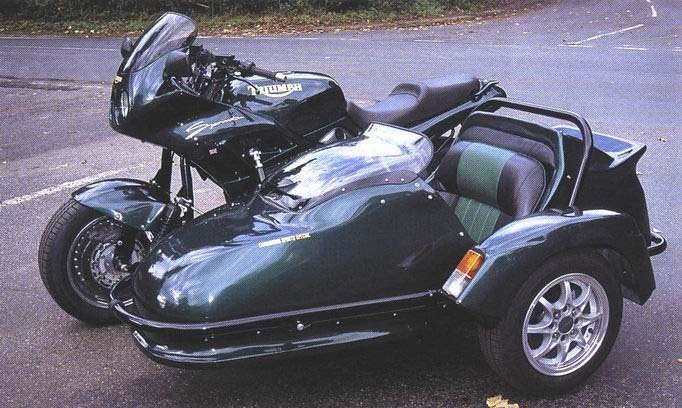 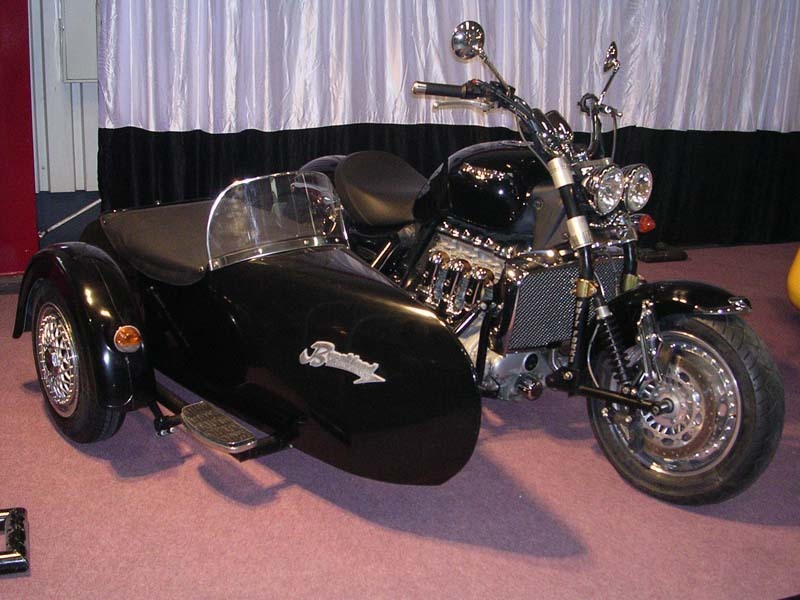 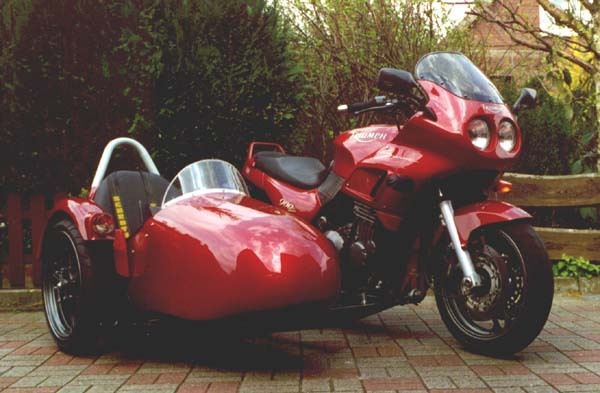 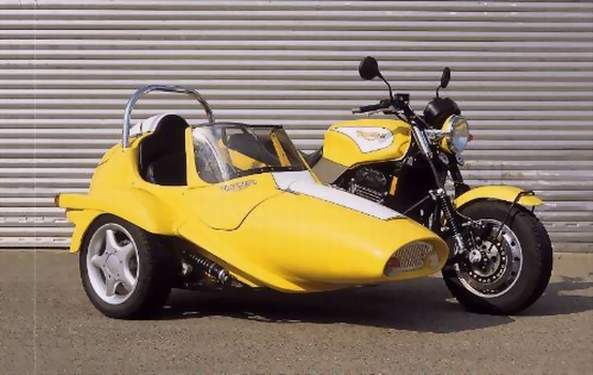 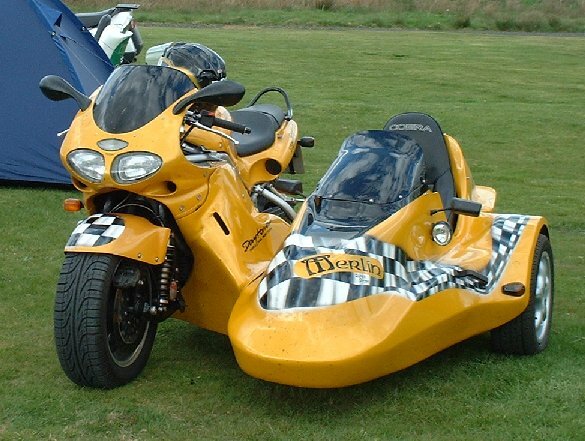 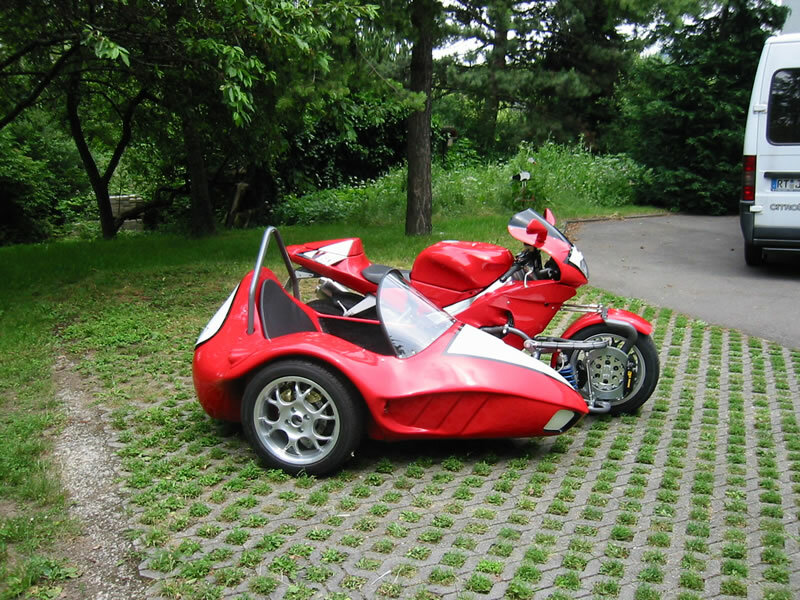 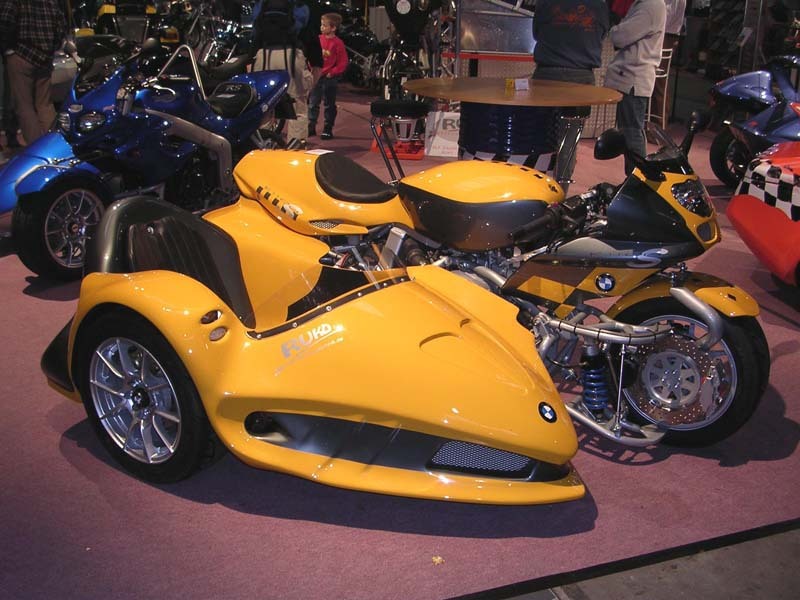 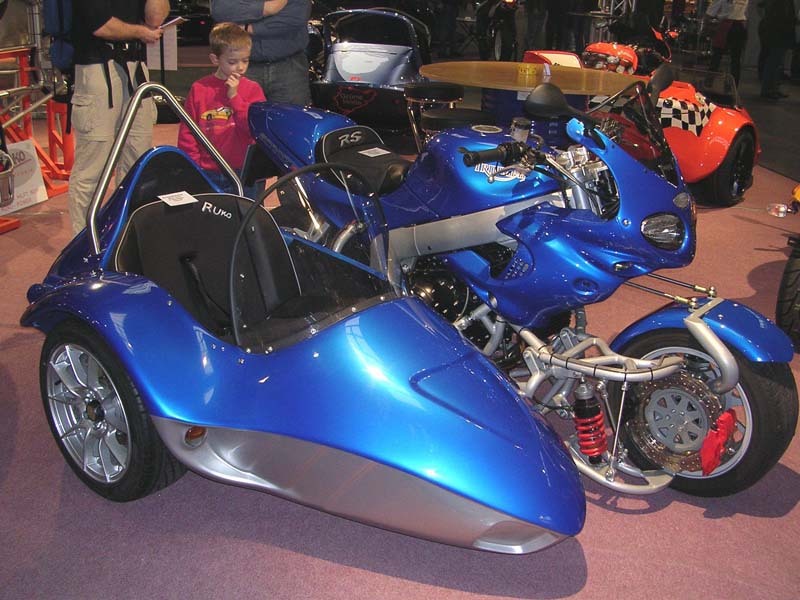 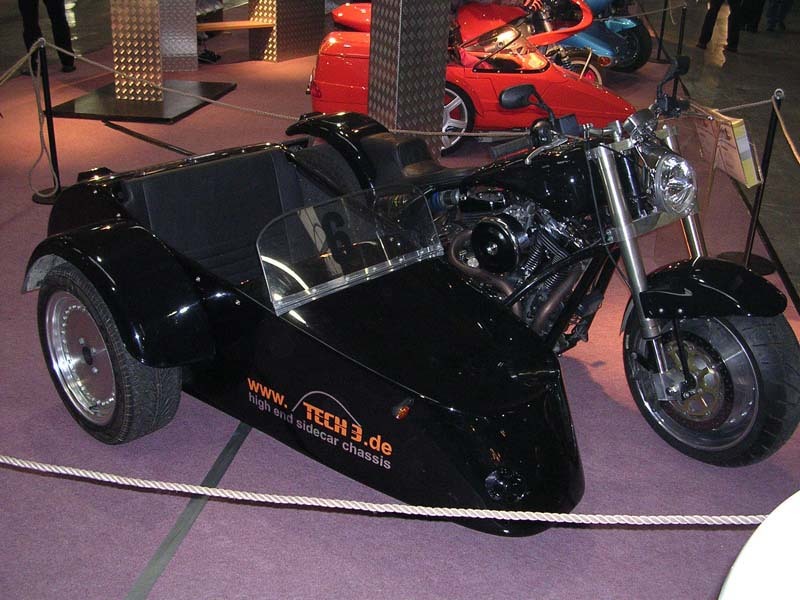 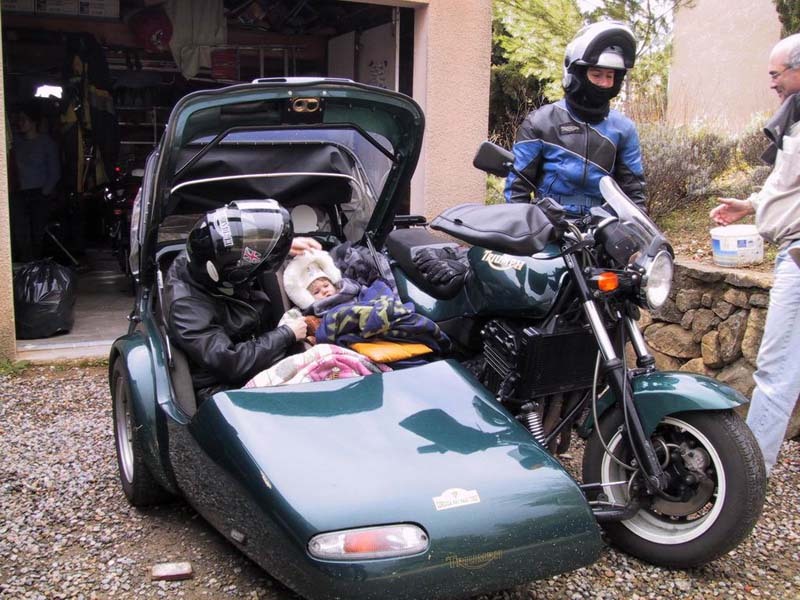 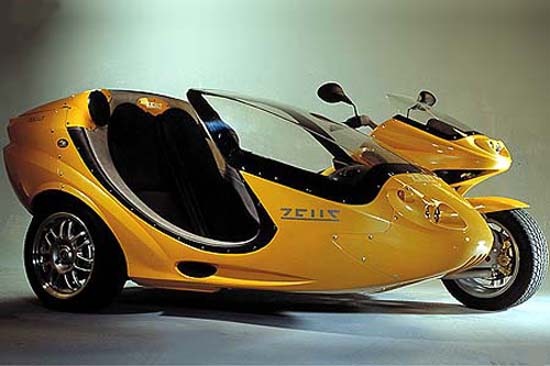 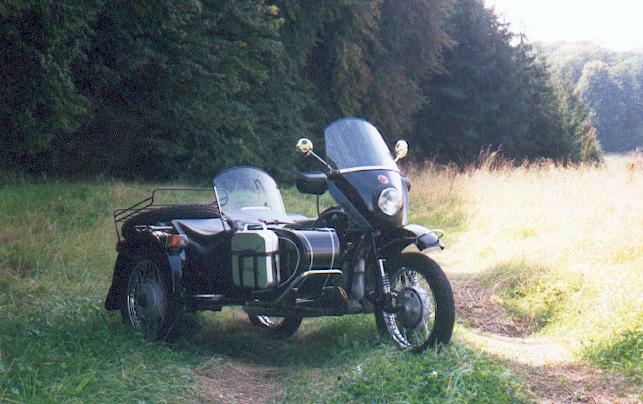 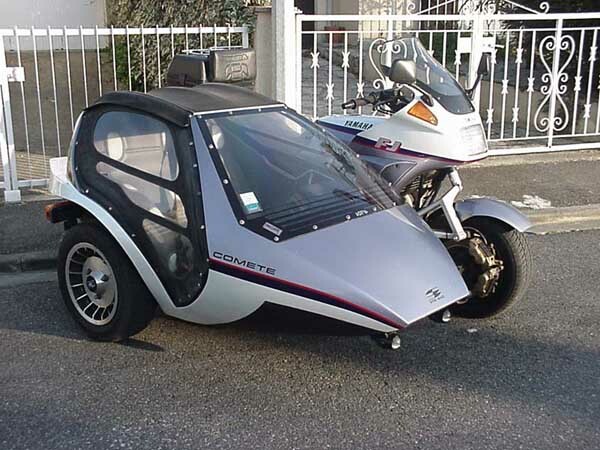 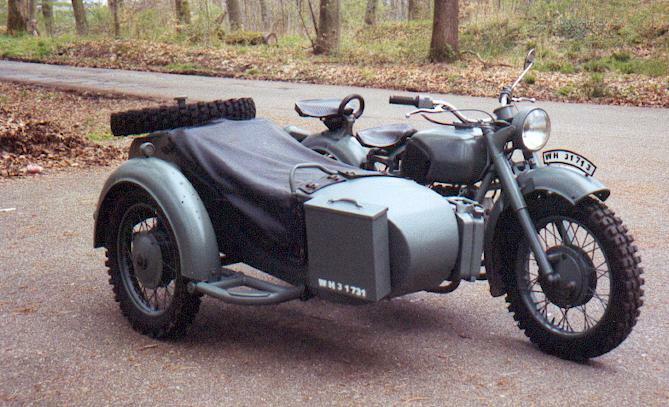 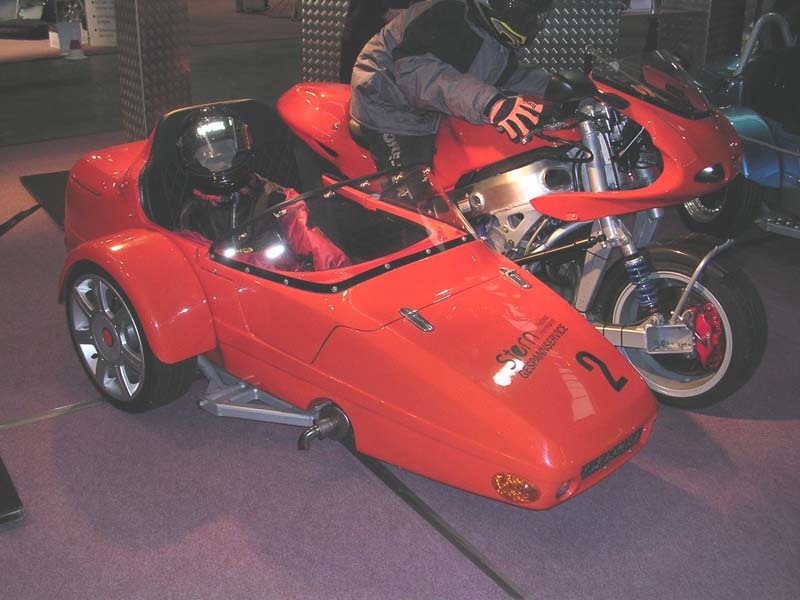 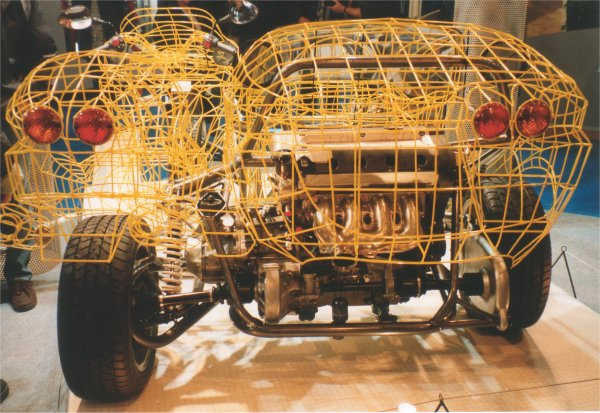 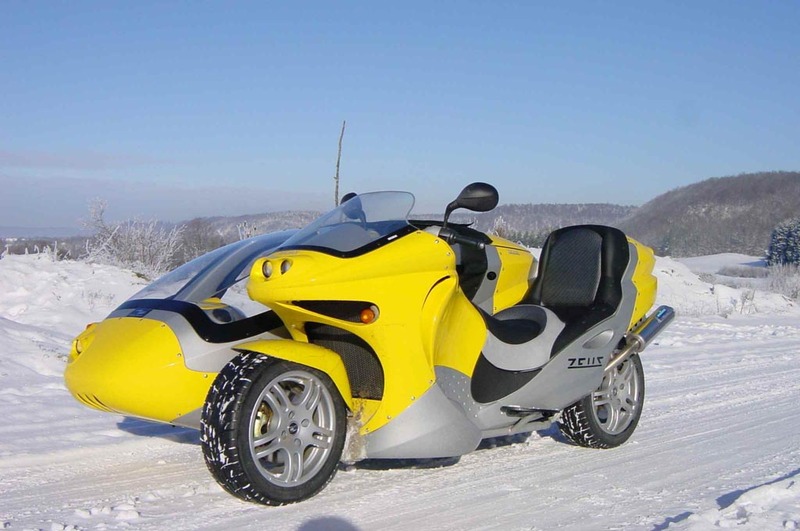 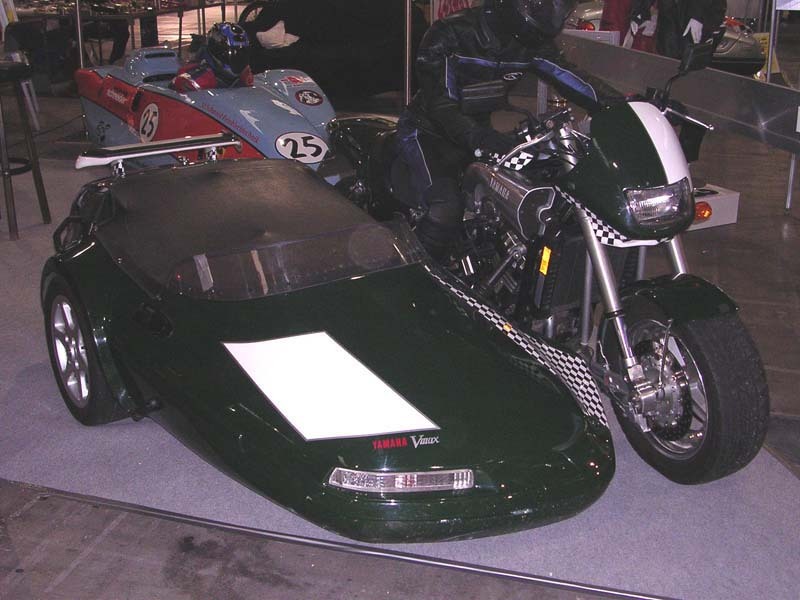 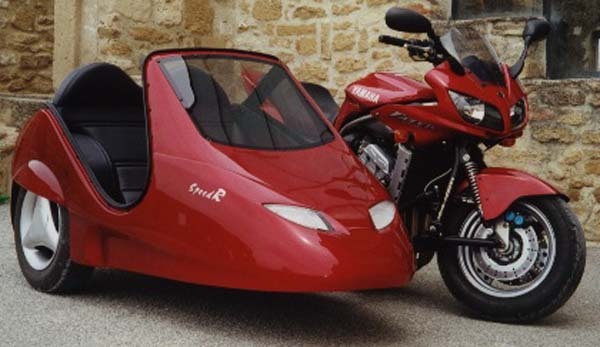 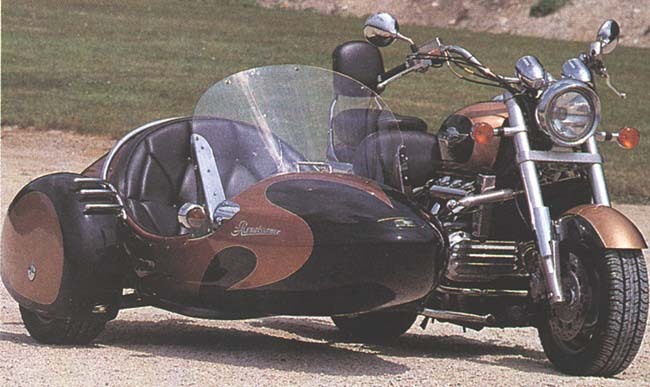 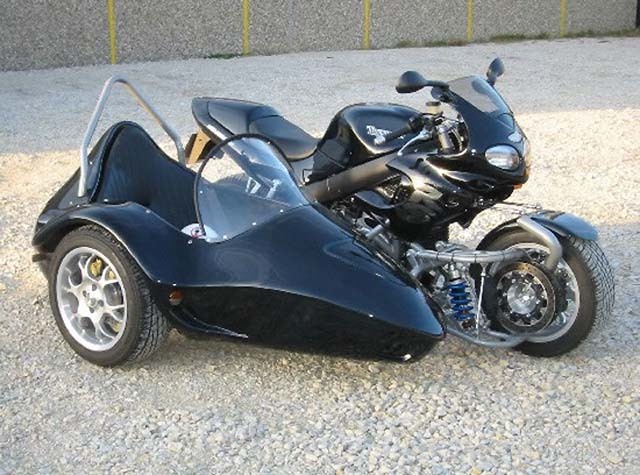 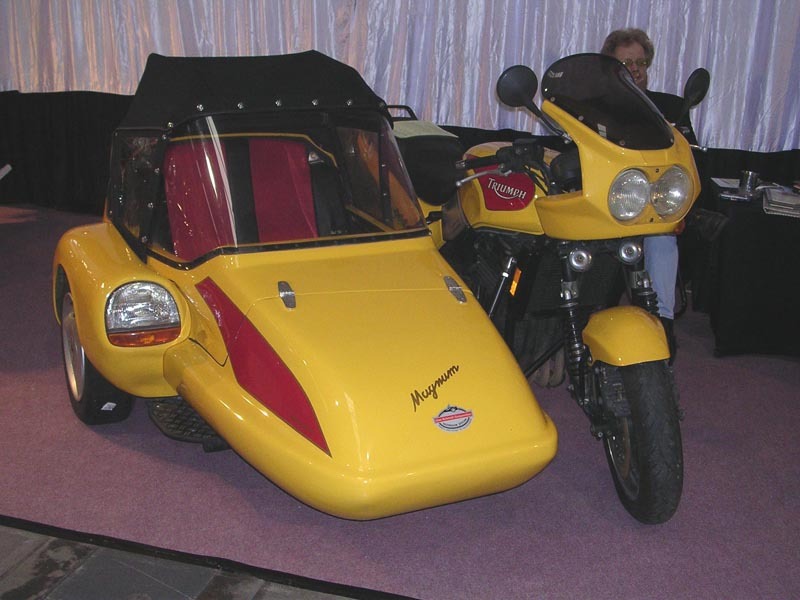 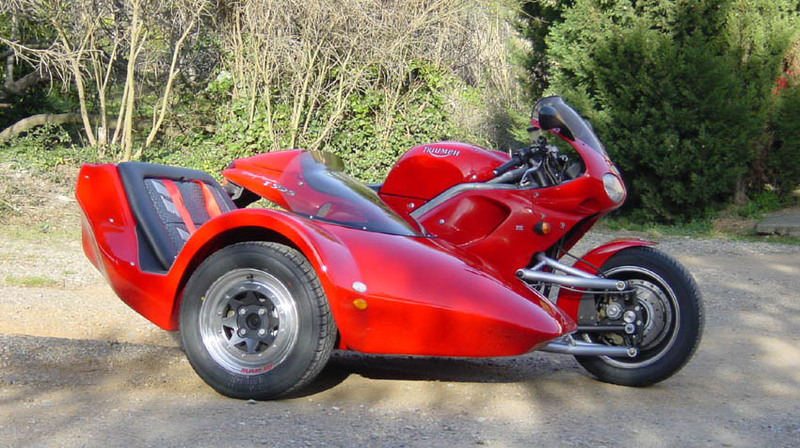 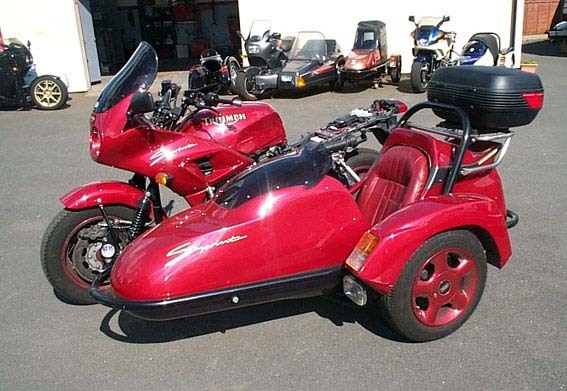 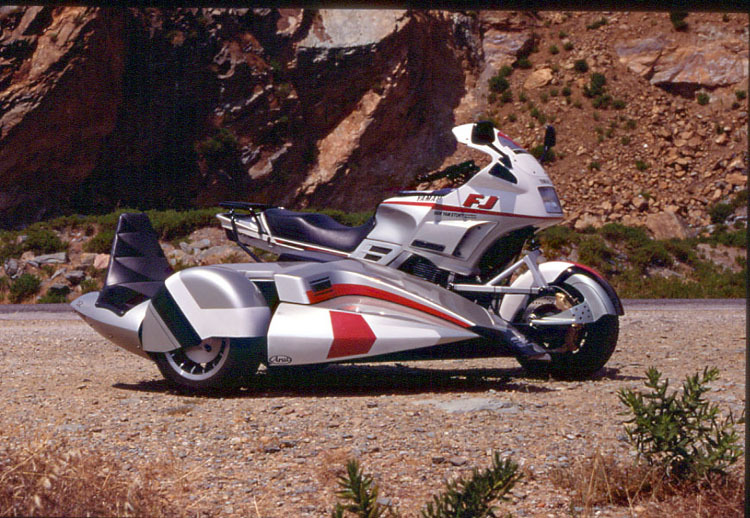 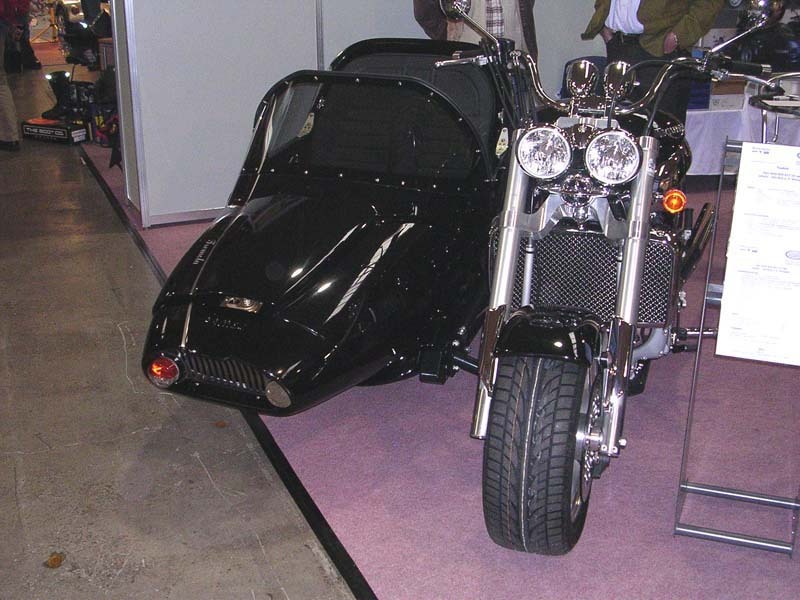 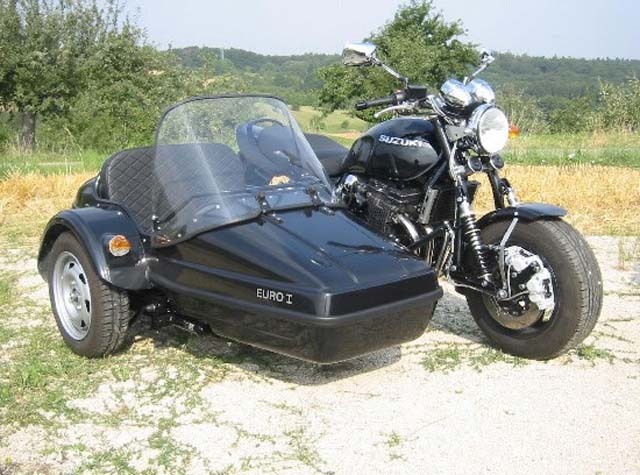 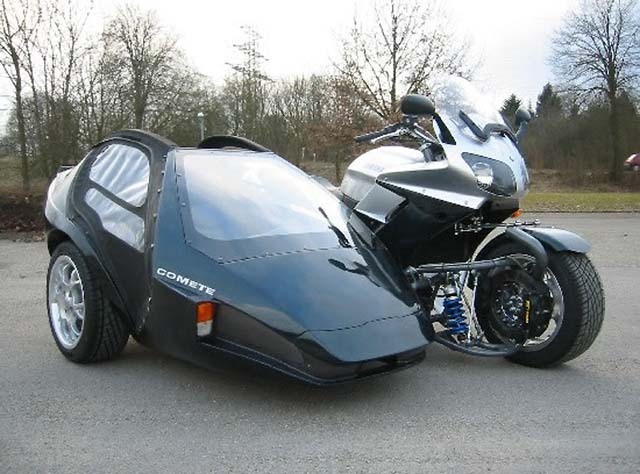 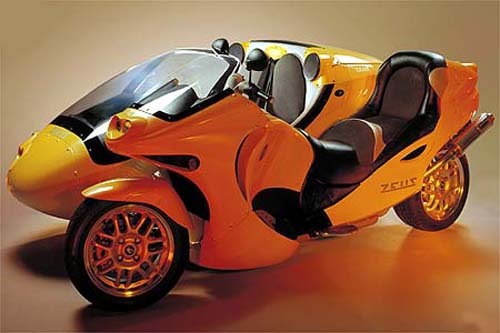 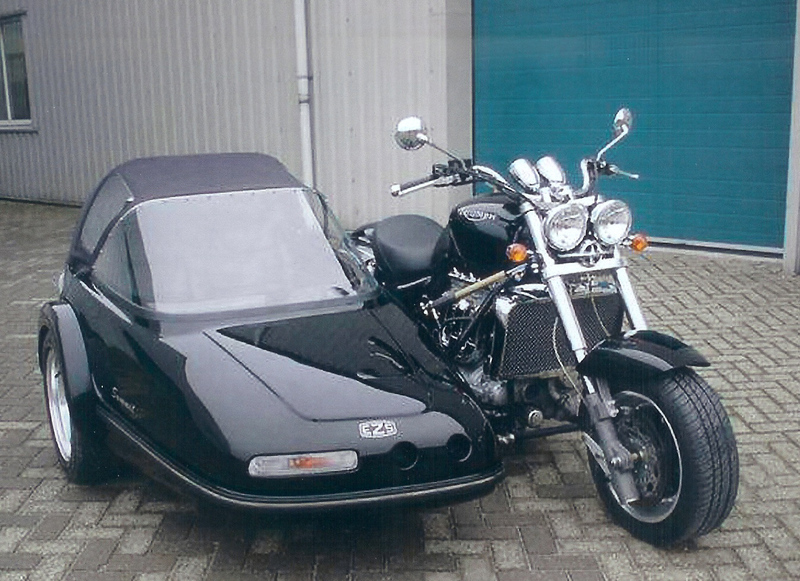 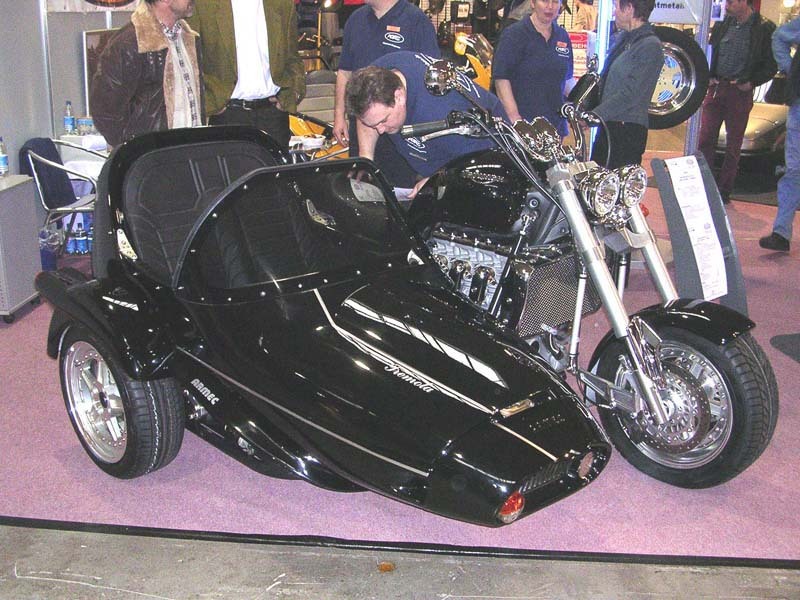 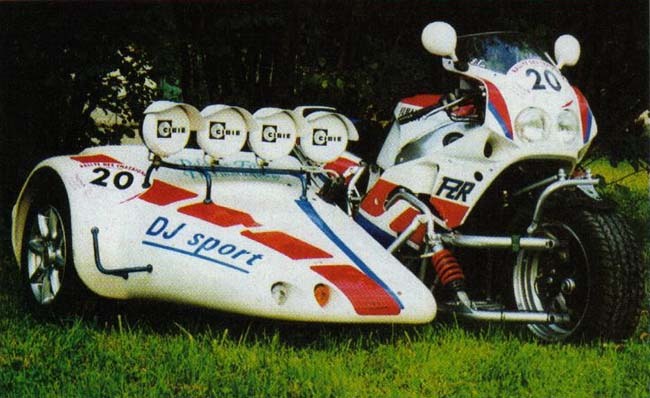 Well then, 3 wheels and 3 cylindres, perhaps the ideal side-car ? 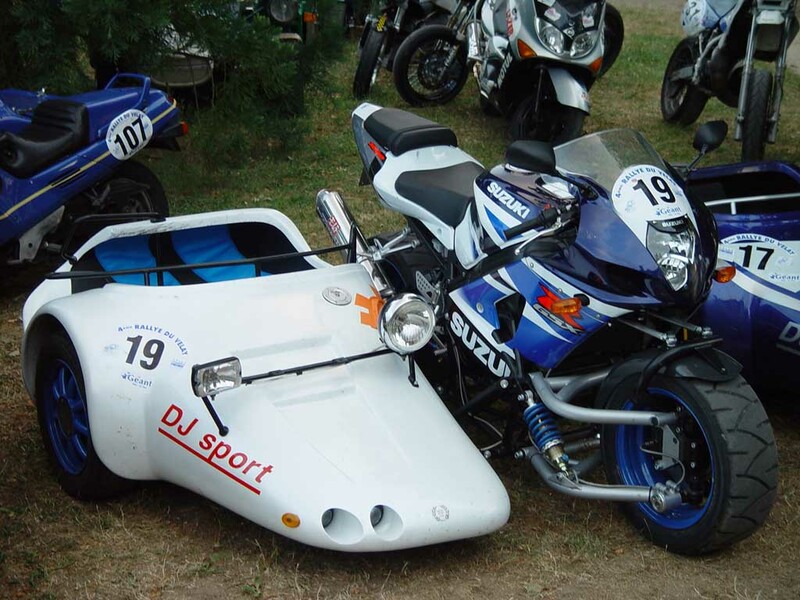 It's up to you to judge ! 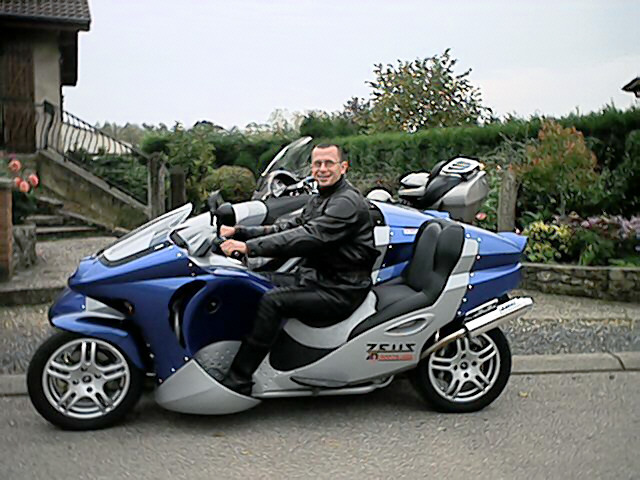 SEND ME YOUR PICS ! 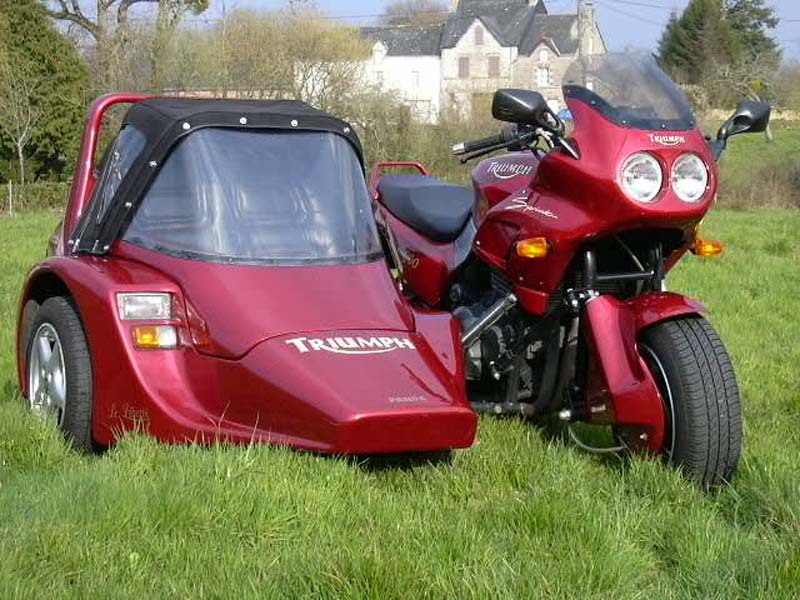 And for the last trip !!! 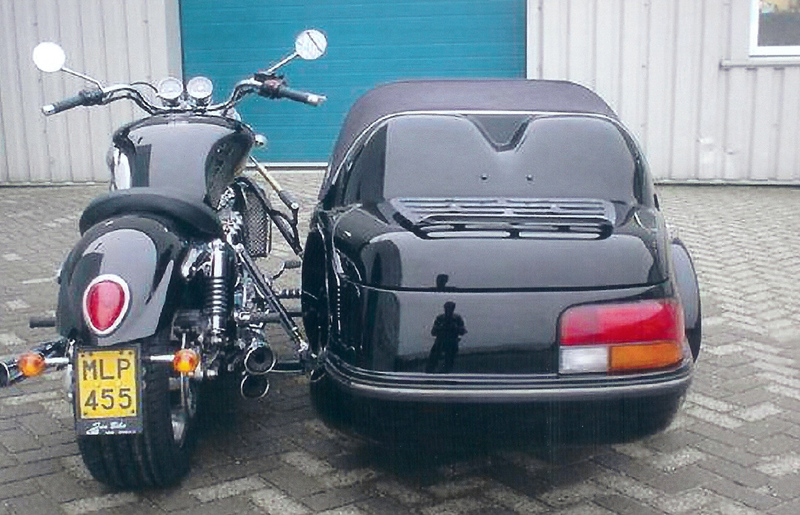 TRIUMPH ROCKET III + EZS SUMMIT. 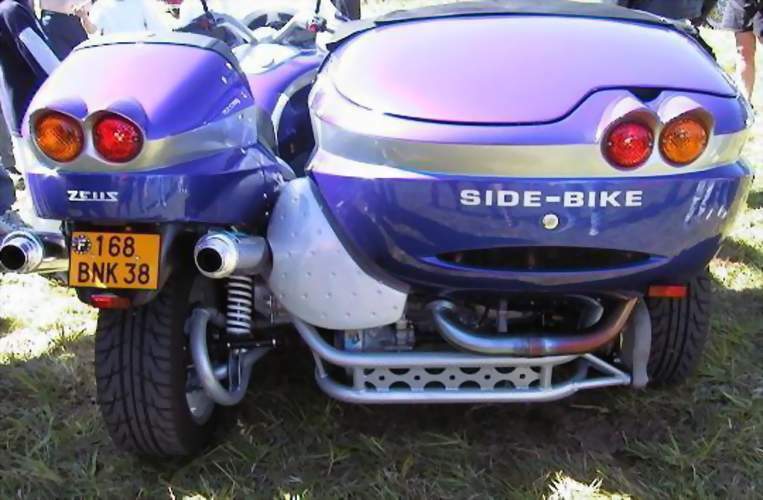 The new stroke of genius from SIDE-BIKE ! 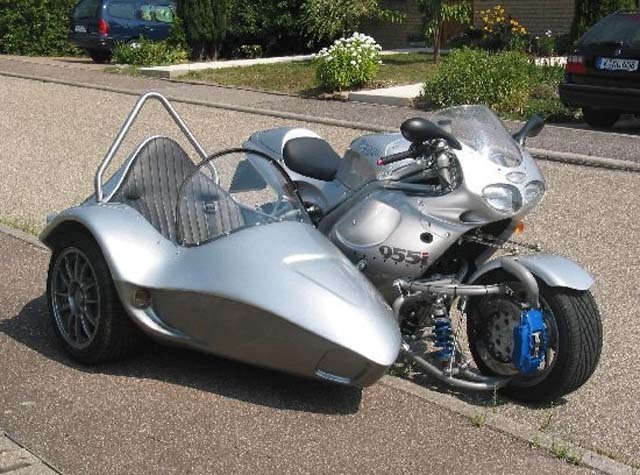 2000 cc Peugeot engine, sequential controled gearbox, 2 wheels drive and steering, 400 l. trunk, etc. 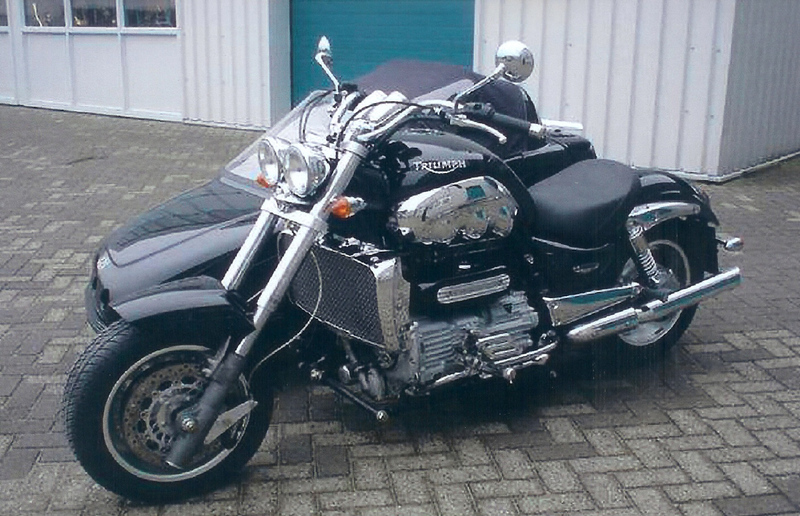 … and a price about 25 600 Euros ! 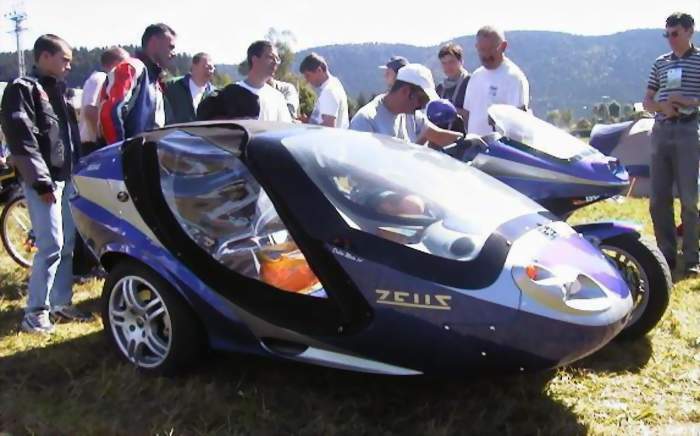 THE DISCUSSION FORUM DEDICATED TO THE ZEUS. 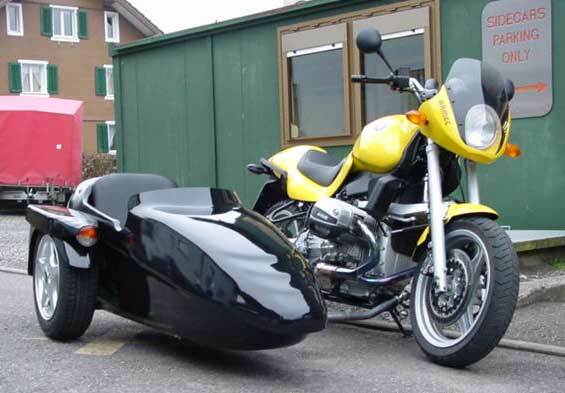 Swiss quality ! 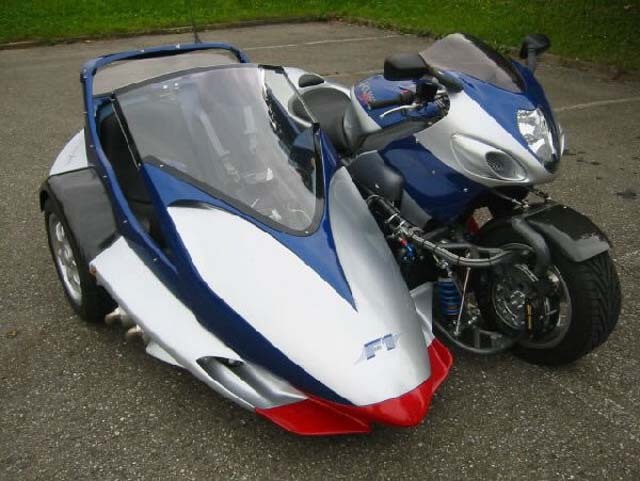 I like ... and you ?